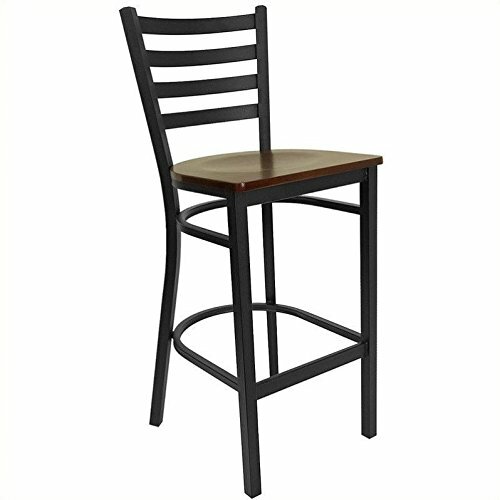 The Ladder Back Restaurant Barstool with Mahogany Wood Seat will be an attractive addition to your bar, lounge or game room at home.The chair features an 18 gauge steel frame in an attractive, ladder back design with a welded joint assembly. Two curved support bars give the chair great strength and durability, as well as a built-in footrest. Plastic floor glides protect your floors by sliding smoothly when you need to move the stool.This metal restaurant chair is a commercial grade chair that would also look great in your home.